Amsterdam, c. 1680. Oblong small folio (350 x 190mm). 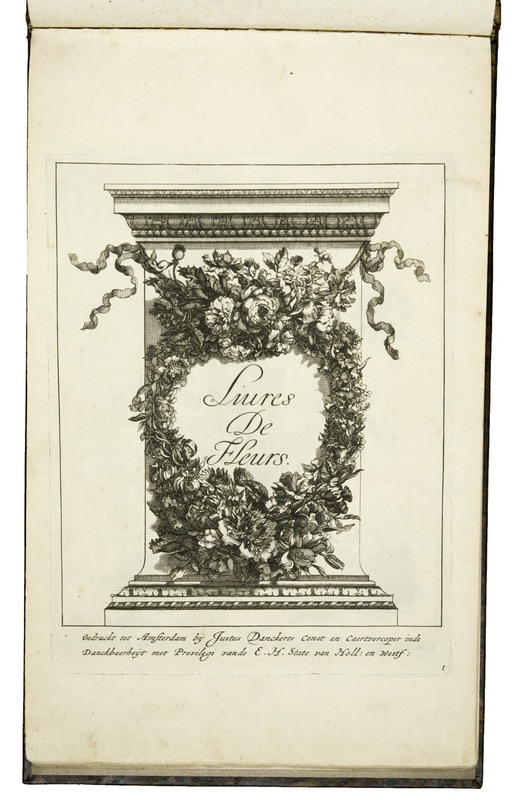 Engraved title within a garland of flowers arranged on a pillar, and 9 engraved plates of bouquets of flowers, each bouquet displayed in an ornamental glass vase, very fine engravings. 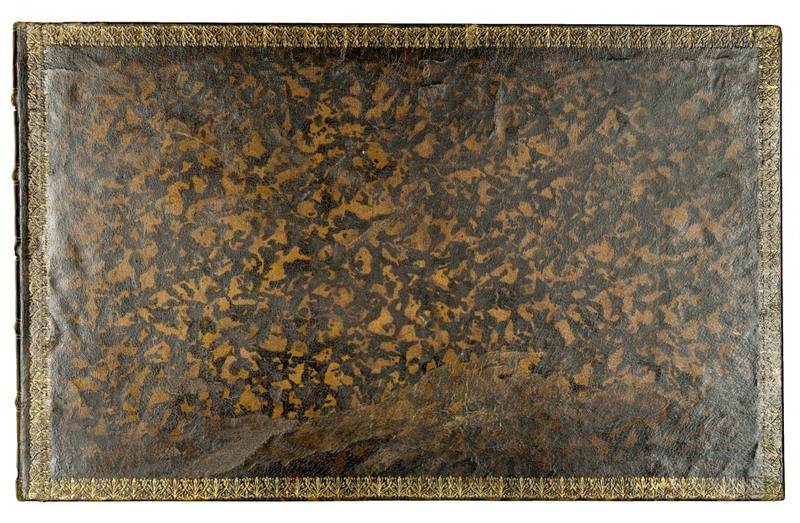 Contemporary mottled calf, gilt borders, rebacked to style. Not in Nissen or any of the obvious bibliographies. 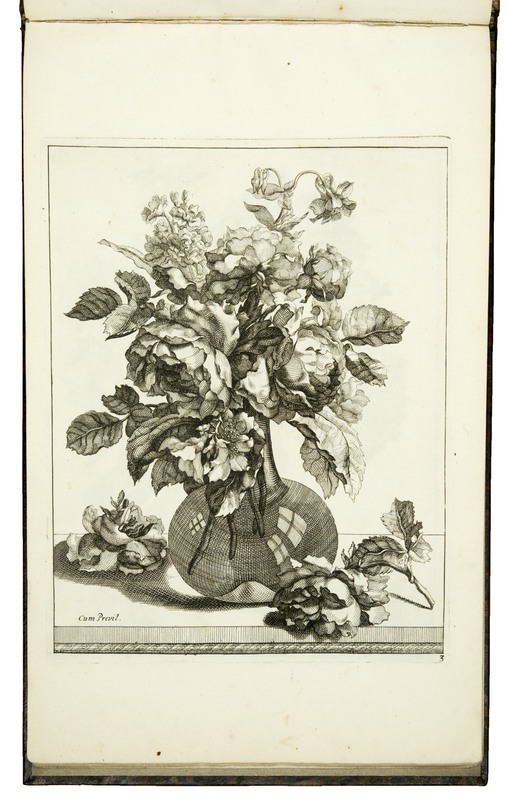 Dunthorne 317 cites this work under the author Vauquer. 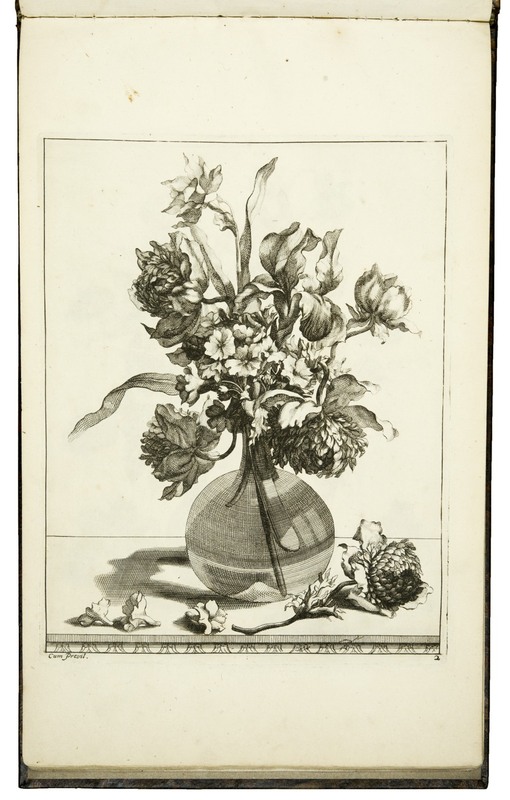 Dr. Sam Segal believes this work by Justus Danckerts is the first edition and predates the edition by Vauquer. However both are rare and no copy has appeared at auction. 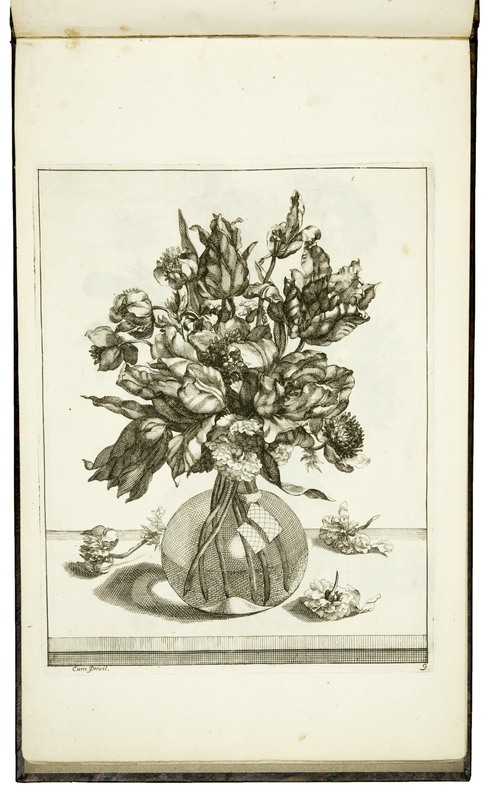 J. Danckerts was a member of the famous Danckerts family of Amsterdam, one of the best known print and map sellers in 17th century Amsterdam. 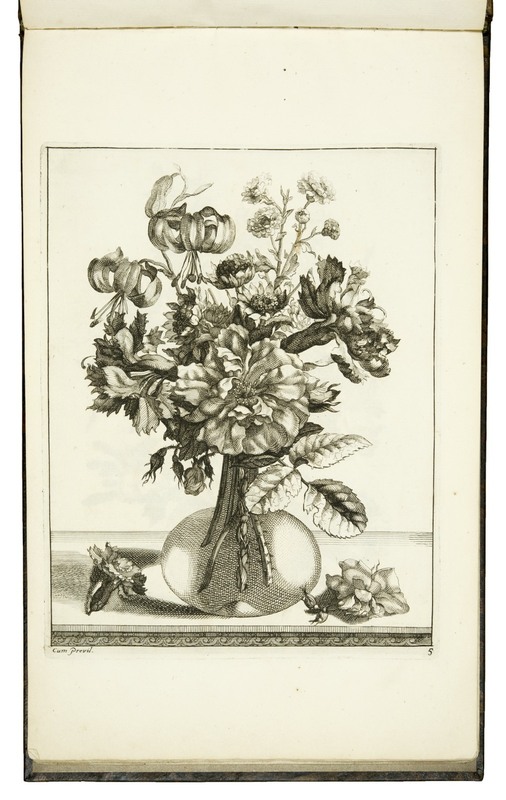 'The grandfather, father, and sons were all highly skilled and excellent artistic draftsman and engravers' (Koeman II, p. 88).